The history of U.S.N.A.T.B. Solomons is currently being researched through materials available at the Calvert Marine Museum, Solomons, Maryland, and the National Archives. An excellent source of information is the booklet Cradle of Invasion: A History of the U.S. 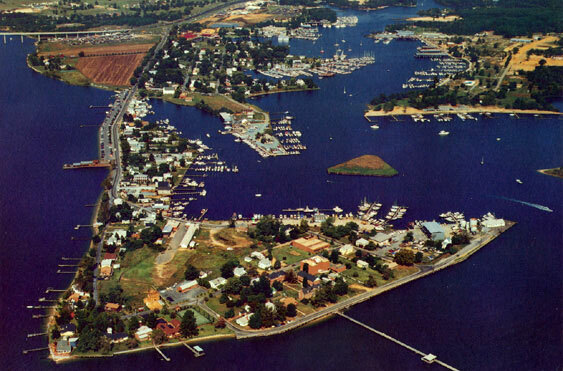 Naval Amphibious Training Base, Solomons, Maryland, 1942-1945. The booklet may be purchased at the Calvert Marine Museum. Initial research reveals the base suffered throughout its existence from the label of "temporary base." 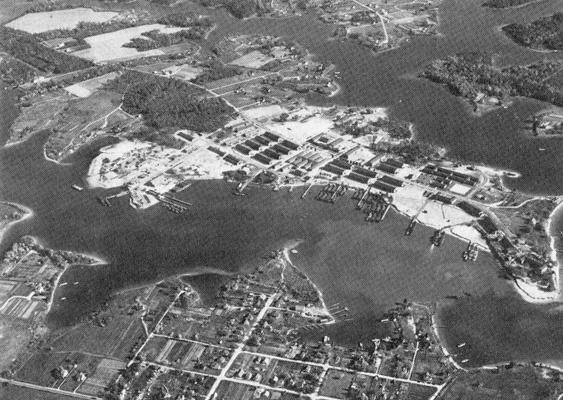 From the beginning in August 1942, many of the amenities normally afforded a Naval base were not developed at Solomons. 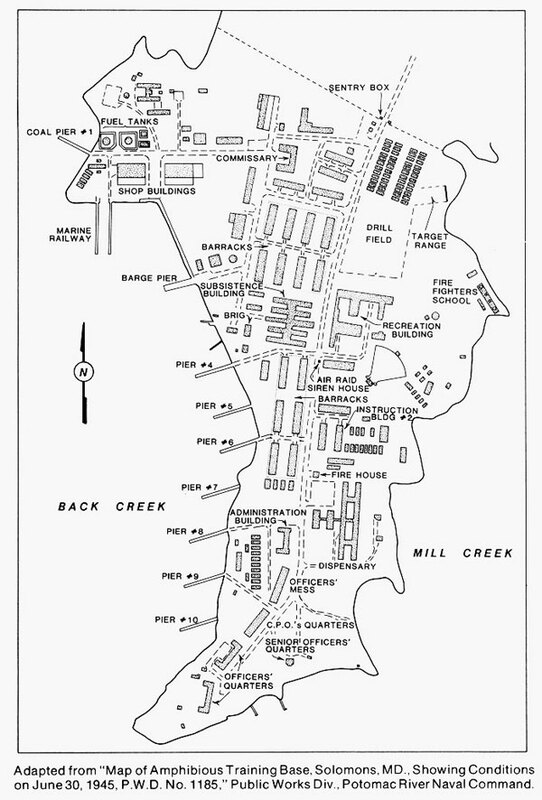 At its peak on July 22, 1944, the base housed approximately 10,150 men for training in amphibious assault procedures. Power, water, barracks, and myriad other requirements were woefully lacking. Training curriculum was constantly evolving as amphibious concepts were brainstormed, initiated, and revised. An early account of training stated men were placed on transport ships, cruised around the Chesapeake Bay for a couple of days, and then transported to their respective ships for duty. Fortunately, training became much more rigorous as the base and staff continued to develop. One thing for sure, the allied powers had to be able to land men and equipment on foreign beaches until ports could be captured and used for unloading personnel and war supplies. Once again, the military personnel proved they could overcome severe obstacles to accomplish their important mission. Solomons was officially closed in April 1945 after training 67,698 officers and enlisted men. Under construction - please come back!